1 Is Sabudana Safe to Eat for Pregnancy? 2 Can You Feed Sabudana to Babies? Sabudana (tapioca) is a starch extract from the cassava plant that is common within the Indian community particularly during fasting and other religious events such as Navratri. It has also been observed to be popular in South America and Brazil essentially due to its vast health benefits. Below are some sabudana benefits and how to reap the best from it. This is one of the most important sabudana benefits. Sabudana is a source of proteins, vitamin K and metallic nutrients like calcium and iron. The former plays a vital role in the growth, nourishment and healing of muscles whereas the rest are responsible for maintaining the bone’s health and flexibility. Sabudana benefits extend to the blood network whereby it improves blood circulation, which successively elevates any strain on the cardiovascular system by providing potassium. Given its rich carbohydrate content, sabudana is useful in rejuvenating one’s energy levels consequently combating fatigue. Similarly, the carbohydrates assist in the fast yet healthy gain of weight, thus sabudana can be used to treat individuals with eating disorders. 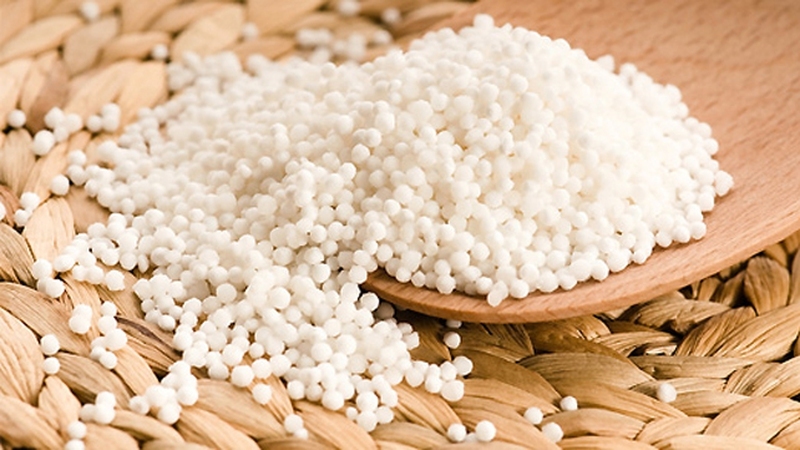 The folic acid and vitamin B-6 contained in tapioca have been found to aid the formation of a foetus in addition to preventing birth defects such as neural tube defect. One of the best sabudana benefits is its ability to cure general digestive ailments including constipation, indigestion, bloating and flatulence. So may still think level of sabudana nutrition is low, it is often cooked with additional ingredients. For example, milk is added to it when making sabudanakheer/payasam/gruel, whereas vegetables and peanuts are used for preparing sabudanakhichdi. Alternatively, sabudana can be ground into sago flour and thereafter used as a thickening agent for gravy dishes or for making flat-breads. Clean and drain Sabudana, then set aside for approximately 6 hours. Should it dry up, moisten it by sprinkling some water. In a microwave safe bowl, combine the cumin seeds, oil, potatoes and green chillies. Cover with a lid and microwave on high until the potatoes are tender (roughly 2 minutes). Add the peanuts, soaked Sabudana and salt, then mix well and repeat the previous step. Serve hot with curds or green chutney. When preparing sabudanakhichdi, wash and soak in a little water for at least 6 hours so as to soften it. For gruel and kheer (pudding), simmer the sabudana in water until translucent and spongy prior to adding milk. Is Sabudana Safe to Eat for Pregnancy? A common concern for expectant mothers is whether or not it is safe to eat sabudana during their pregnancy term. Although doctors confirm its safety, they advise against consuming large quantities of tapioca due to the imbalance of sabudana nutrition. As mentioned before, tapioca has a high content of starch, but relatively low levels of other essential nutrients like proteins. They, therefore, advocate for the intake of sabudana with other foods such as those highlighted in the nutrition section. Pregnant mothers are also advised against taking more than 1 portion of tapioca per day. Can You Feed Sabudana to Babies? Sabudana’s benefits can also be enjoyed by babies from the age of 6 months. It is, however, advised to consult one’s doctor on whether it is ideal to introduce your baby to tapioca. This is because babies may struggle to digest carbohydrates, thus are prone to digestive issues. The preparation of sabudana for one’s baby varies with their age and ability to chew/swallow the food. Babies can be gradually introduced to the food initially as a soup/liquid with no lumps and thereafter progressed to main meals such as porridge.